Discussion of New York's No Fault Insurance Law (Article 51) and Workers' Compensation Law Section 29 liens in New York. 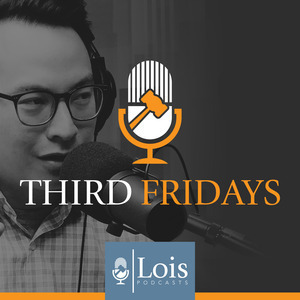 Host Christian Sison welcomes returning guest Christopher Major to the latest episode of Third Fridays to discuss the interplay between the carve out of reimbursement and when it applies in New York workers' compensation cases. This episode is a must-listen for subrogation specialists, carrier risk professionals, and New York attorneys handling motor vehicle and workers' compensation cases in New York. An important case involving special employment, liability waivers, and contractors is headed to the New Jersey Supreme Court. Christian Sison welcomes Christopher Major to the latest episode of Third Fridays to discuss the ramifications of this case. Can an employer contract with a willing employee to waive liability of its customers? Christian and Chris try to predict the Supreme Court’s next move! The defense of "Labor Market Attachment" in New York workers' compensation cases. Attorney Declan Gourley joins host Christian Sison in a discussion of the defense. In this episode, Christian Sison welcomes the employer's perspective to the Third Fridays podcast. Christopher Lahey, a Senior Supervising Engineer from National Grid, starts a discussion about the issues involved when investigating alleged work accidents. Christopher talks about the types of injuries sustained by National Grid employees, and how the company puts its employees in the best position to return to full duty work. Christian and Christopher engage each other in a debate involving the risk to an employer when an employee reports work accidents in an untimely manner. This is juxtaposed with the need to fulfill productivity goals upon which the employee is judged. The two also discuss safety measures that National Grid uses in order to meet accident and claim prevention goals. Finally, Christopher takes his turn at the show's "Guess the Outcome" segment, which is tailored directly to Christopher's expertise in reporting work-related accidents. Download this episode to get a first-hand look at how an employer deals with various issues in Workers' Compensation! Today's topic is permanent residual disability. Attorney Joe Jones joins moderator Christian Sison in discussing this topic. Today's topic is fraud. Christian Sison welcomes Usra Hussain to the show to discuss fighting fraud in New York workers' compensation claims. Can employers prove that claimants "knowingly" violate Section 114-a? Is it always beneficial to raise fraud at the outset of a claim? The episode ends with Usra taking her turn at Guess the Outcome! 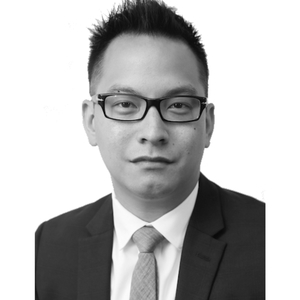 Christian Sison welcomes guest attorney, Timothy Kane, to the third Episode of the podcast. Christian and Tim discuss Tim’s prior role as a claimant’s attorney, and how that has helped him to be a zealous advocate for employers. The two of them then talk about using that information to stress aggressive investigation into claims, in preparation for litigation of several issues. After Tim plays “Guess the Outcome,” he and Christian conceptualize the difficulty of rebutting the presumption afforded to claimants pursuant to Section 21 of the New York Workers’ Compensation Law. Host Christian Sison and Attorney Tashia Rasul discuss owner-controlled insurance policies in the context of workers' compensation claims. Christian Sison hosts the premiere episode of Third Fridays!